Target Group Inc. (OTCQB: CBDY) (“Target Group” or the “Company”), is pleased to announce, that effective January 25, 2019, it has entered into an agreement to acquire Massachusetts-based CannaKorp Inc. (“CannaKorp”). CannaKorp is the holder of the patent-pending WISP™vaporizing system. The WISP™ is a pod-based, herbal vaporizing system that uses precisely measured, sealed and tested WISP™ Pods containing dried, ground botanicals. The WISP™ vaporizer, used together with WISP™ Pods, gives cannabis users the predictability and assurance to know what they’re inhaling with every use, without the hassle of grinding, measuring, or packing. For the rapidly evolving market of cannabis consumers who prefer vaporization, Wisp™ presents a proven method of delivery with unique bioavailability benefits and avoids the health concerns associated with the combustion of cannabis and other herbs. Through this acquisition, Target Group is acquiring CannaKorp’s operations in the United States and Canada, enabling the expansion of cannabis operations, and positioning Target Group’s brand portfolio for global distribution. Target Group will continue executing its global expansion strategy, which is focused on acquiring and developing quality brands and solidifying long-term growth and stability in vital markets across the globe. “The acquisition of CannaKorp will enable Target Group to enter all legal cannabis markets around the world, and to develop a centralized distribution channel for the WISP™Vaporizer system, including centralized WISP™Pod production. This acquisition also enables Target Group to provide the WISP™and it’s WISP™Pod technology to mainstream medical and recreational consumers, offering unprecedented variety through a break-through, consumer appliance experience that’s clean, convenient, consistent and easy to use.”, said Rubin Schindermann, Chief Executive Officer for Target Group. Target Group Inc has identified a significant area of opportunity for growth within the wellness category. Combining WISP™natural herbal botanical pods with CBD (Cannabidiol) will allow WISP™to develop a range of proprietary blends that will be available for sale within the broader American mass market immediately. Target Group, Inc. (“Target Group” or the “Company”) is a progressive, diversified and vertically integrated cannabis acquisition company. We’re expanding our global operations to build an international network of manufacturing, distribution, production and sales. The Company owns Canary Rx Inc(“Canary”), a final-stage Canadian cannabis license applicant. 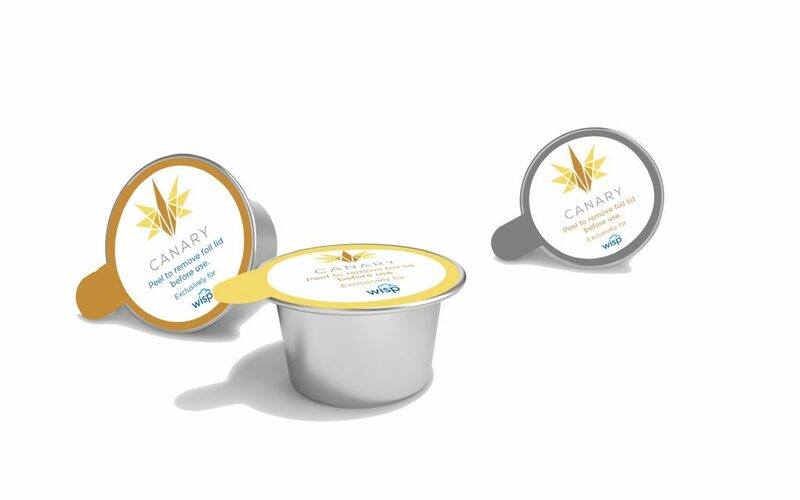 Canary operates a 44,000 sq ft facility in Norfolk County, ON, and has partnered with Dutch breeder, Serious Seeds, to cultivate world class, proprietary genetics. Target Group is currently curating an iconic brand portfolio leveraging product diversification, innovation, and operational expertise to solidify long-term growth and stability. 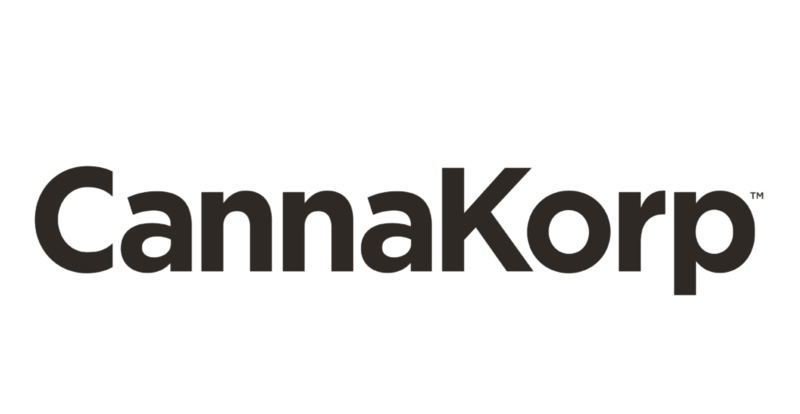 CannaKorp, Inc. is a Massachusetts-based technology start-up company that is simplifying and improving the experience for consumers interested in vaporizing natural herbs. CannaKorp has developed the world’s first single-use pod, herbal vaporizer system, delivering unprecedented quality, convenience and consistency. The complete system includes the ground breaking vaporizer device, WISP™; single-use, precisely measured pods containing pre-ground, lab-tested botanical herbs called WISP Pods™; and a proprietary pod-filling process. CannaKorp, Inc. was founded on care and commitment to patients and consumers, and is guided by a philosophy of social and environmental responsibility. Forward-Looking Statements Disclaimer: This press release contains forward-looking statements within the meaning of Section 27A of the Securities Act of 1933, as amended, and Section 21E of the Securities Exchange Act of 1934, as amended. In some cases, you can identify forward-looking statements by the following words: “anticipate,” “believe,” “continue,” “could,” “estimate,” “expect,” “intend,” “may,” “ongoing,” “plan,” “potential,” “predict,” “project,” “should,” “will,” “would,” or the negative of these terms or other comparable terminology, although not all forward-looking statements contain these words. Forward-looking statements are not a guarantee of future performance or results, and will not necessarily be accurate indications of the times at, or by, which such performance or results will be achieved. Forward-looking statements are based on information available at the time the statements are made and involve known and unknown risks, uncertainties and other factors that may cause our results, levels of activity, performance or achievements to be materially different from the information expressed or implied by the forward-looking statements in this press release. This press release should be considered in light of all filings of the Company that are contained in the Edgar Archives of the Securities and Exchange Commission at www.sec.gov.